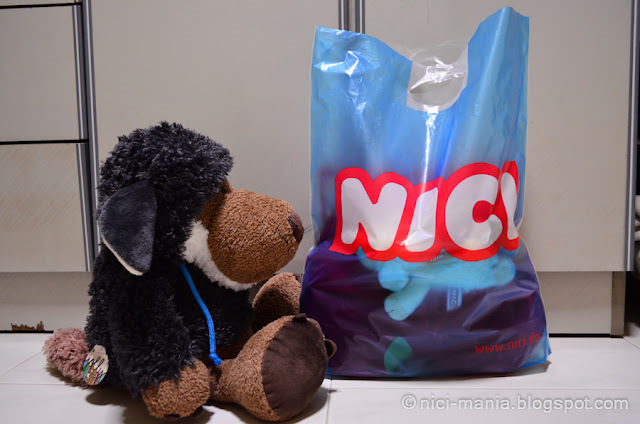 Recently we went NICI shopping at CNS Plaza Singapura and came home with another nice NICI Shopping Bag! Yippy (^_^) You can find CNS Plaza Singapura's blog here or facebook here. They are the best place to buy NICI in Singapore! 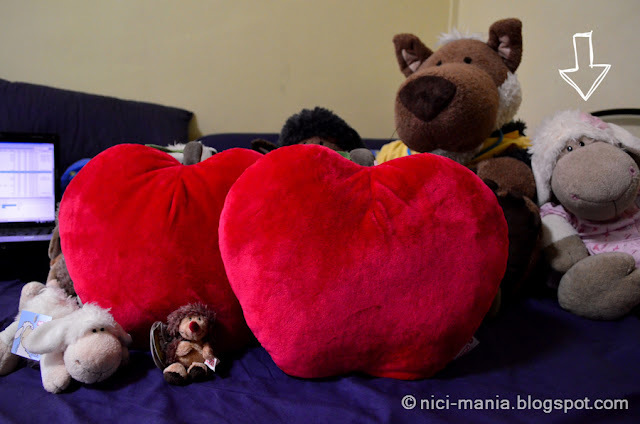 We bought another limited edition NICI red apple cushion and some cute NICI plushies! Jolly Rosa is stealing all the limelight in this picture though. NICI Hetch Hogan finally joined our family! He is a tiny miniature one but he is definitely good looking! We will blog about this NICI Hetch Hogan in the next entry! 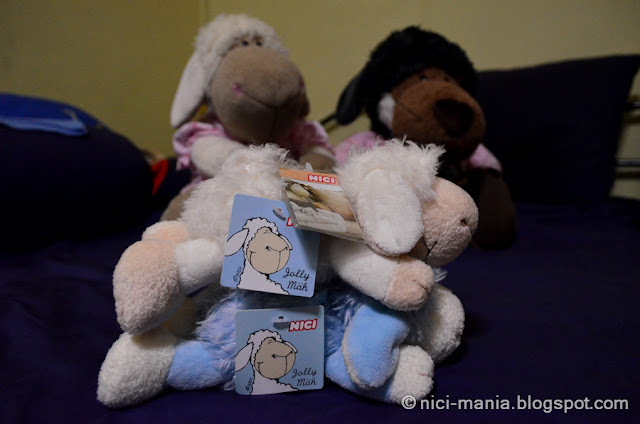 The white NICI jolly mah lying is exactly the same as the blue one, except it has a special NICI sports tag. Ohhh mini Hetch Hogan is beatiful! Haha. 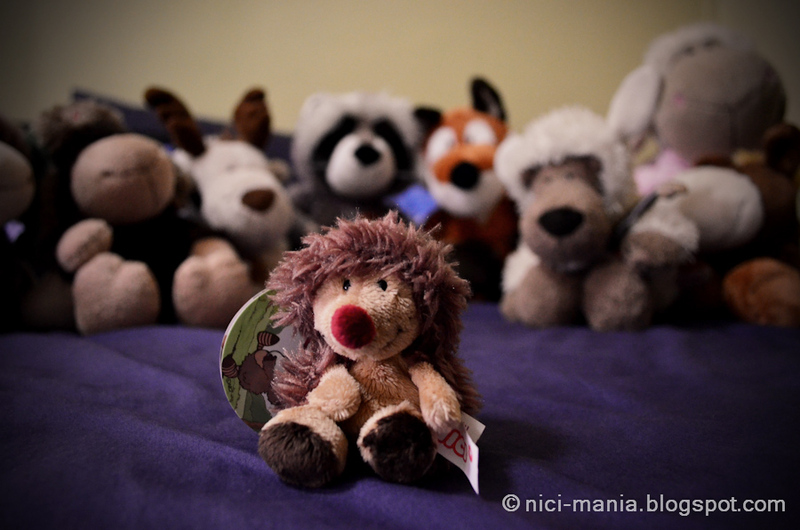 The hedge hogan key ring is cute! 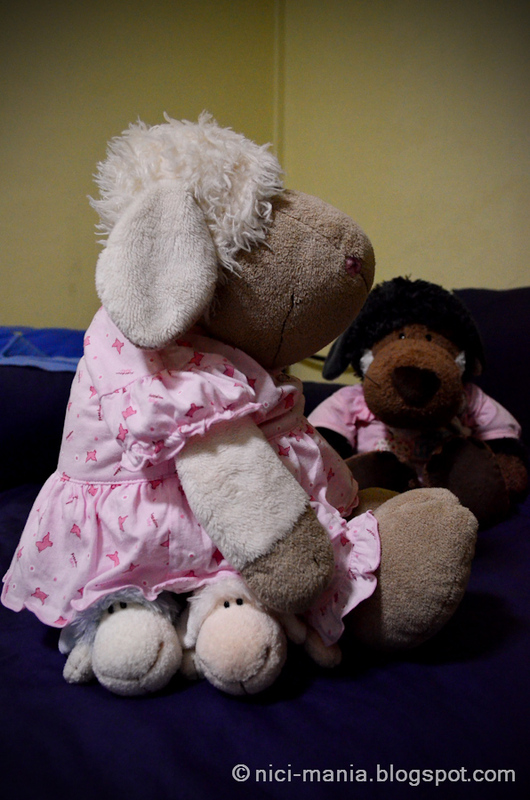 @Raquel: Hehe, Jolly Rosa is a big bully! 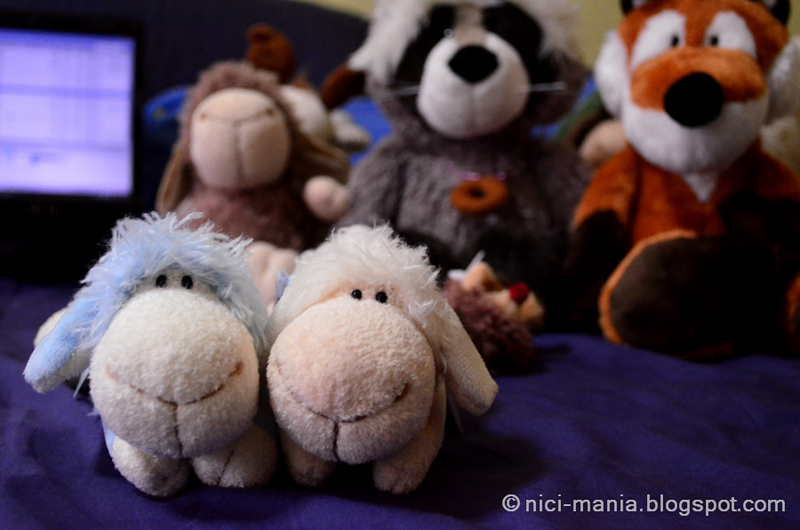 Haha, you don't need your red worm-cushion any more, you just put two sheep on top of each other and there you go. Your lying white looks like a nice one, I have a lying one as well, a small one, around 20 cm or so, and yours looks like a special one, much more fluffy. Enjoy! 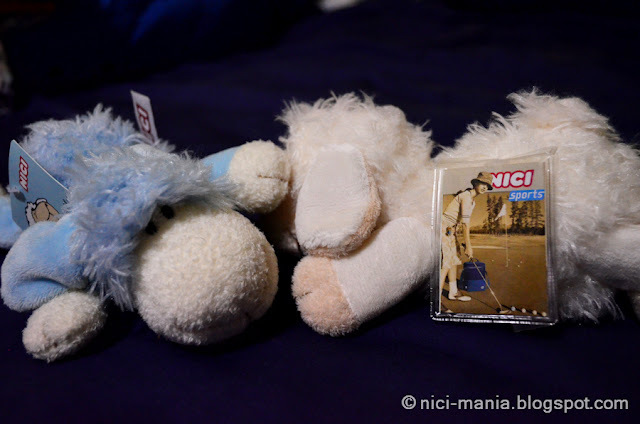 By the way: the second picture is typical for NICI-sheep, mine do it as well, when you try to make a nice picture, there is always a sheep that tries to worm itself into the picture as well, with those cute beedy eyes, looking so inquisitive. Love it.